Proceeds to benefit the MOTL Scholarship Fund. Sunday, November 1st, 2015 at BONAVENTURE COUNTRY CLUB in Weston. DILLER TEEN FELLOWS RENOWNED INTERNATIONAL TEEN LEADERSHIP PROGRAM – ONLY ONE WEEK LEFT TO APPLY! 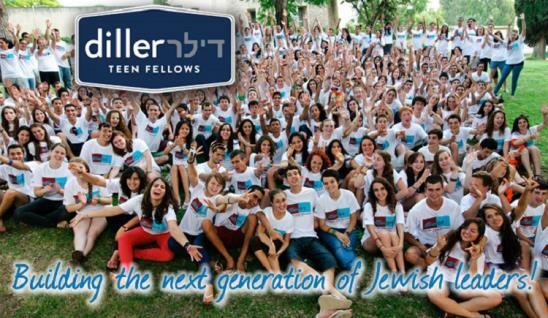 The Diller Teen Fellows program is an internationally renowned Jewish teen leadership program. We are looking for current 9th and 10th grade Jewish teens from Miami who show potential to be the future leaders of the Jewish community and are committed to serving their community, honing their leadership skills, and developing a lasting connection to Judaism and Israel. Selected Diller Teens participate in a pluralistic experiential Jewish educational program which focuses on leadership development, exploration of Jewish identity, commitment to Tikkun Olam (social justice), Israel, and the Jewish people. The 15-month program consists of monthly Sunday workshops and thought provoking weekend retreats. Also included is a three week seminar in Israel and a ten-day peer exchange in North America with our partner group from Yerucham, Israel. Monday Night Chai is open to all teens in the area, specially unaffiliated teens and teens who belong to a synagogue that does not offer teen education. RSVP with your Youth Director. All Jewish South Dade Teens Invited. 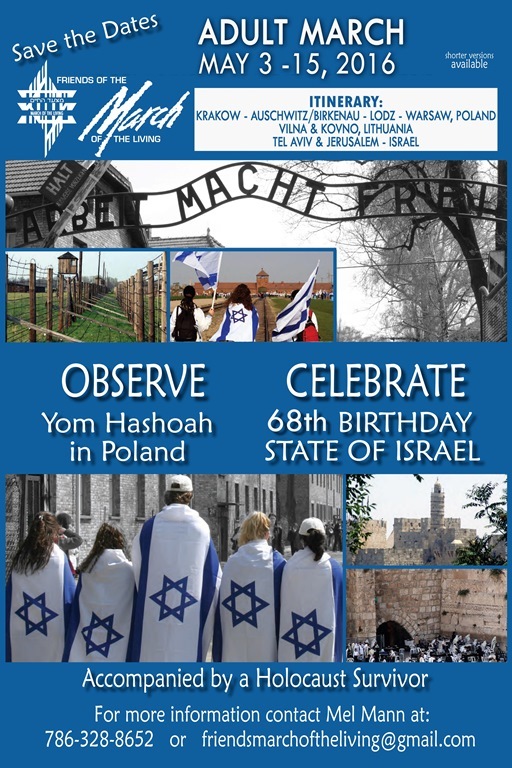 If you do not belong to a Youth Group, feel free to RSVP to any sponsored synagogue. This year, school is opening in the context of a difficult situation for Israel and Jewish communities worldwide. The summer has been marked with tragedy and conflict as Israel fights to protect its citizens from terror. Presumably students will have been exposed to many discussions at home, on social media, and in the news, among other sources. As well, teachers will be returning to school with many questions, anxiety, and personal experiences regarding the situation. As educational leaders we must acknowledge this challenging time and provide resources and support to our teachers and our students in order to navigate through this challenge and help each other understand and find meaning. Below you will find links to online resources, videos, and information to help you design and lead conversations and provide resources to your students and families. We at CAJE-Miami are also available to come and facilitate workshops and conversations with your teachers in addressing the challenges and realities of this time. As we continue to discover new resources, articles, and videos, we will update this resource and send it out. If there is anything you find and believe would be a beneficial resource, please forward these to Allison DiGiacomo at AllisonDiGiacomo@caje-miami.org.